Heroes and Heroines is a friendly not-for-profit live action role play club based in the west midlands. We run roughly 11 events a year and always welcome new comers to the group or the LARP/LRP hobby as a whole. For a list of planned upcoming events in The Midlands, Gloucester, Stafford, Warrington, Oxfordshire and beyond see the LARP events page. Live Action Role Play involves taking on the role of a character in the game and acting as that character. Over time you will build up your character's skills and personality and will forge new social contacts from event to event. As a character you will find yourself in all different manner of situations, sometimes alone or as a group, which will range from negotiations, problem and puzzle solving to combat situations. 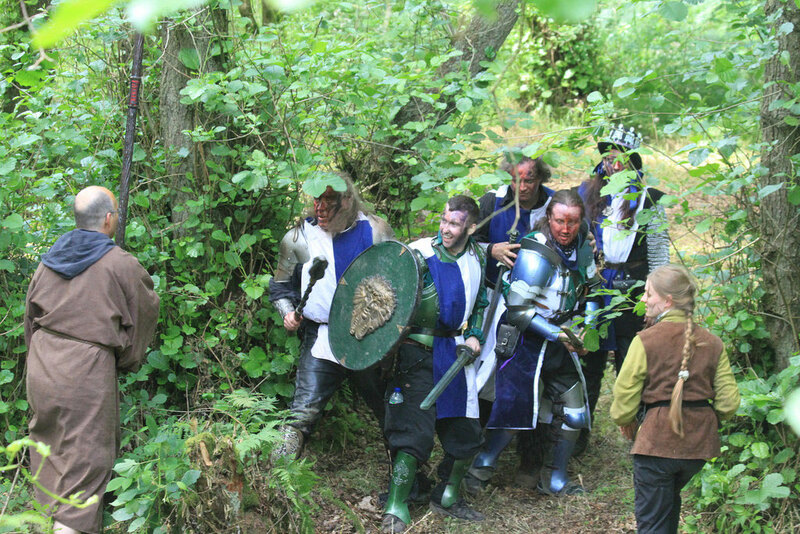 All the events are based in a high fantasy LARP world known as Eden where the players play characters from a country called The Protectorate of the Rose. Your characters will form part of the country's main military force working as 'problem solvers'. The world is constantly developing due to in game events and the actions of the players. There is always a vast range of opportunities to immerse yourself in the extensive game plot as well as your own unique character's plot, be it something from the past or something done during the game. Every character has their own view of the world of Eden with their own agendas and objectives. These can be in line with or opposing those of other players and nations, thus giving ample opportunity for interaction between characters. There is also a wealth of other organisations and people within the world for characters to interact with, alliances to be made or enemies to face as well as those who cannot be reasoned or negotiated with.